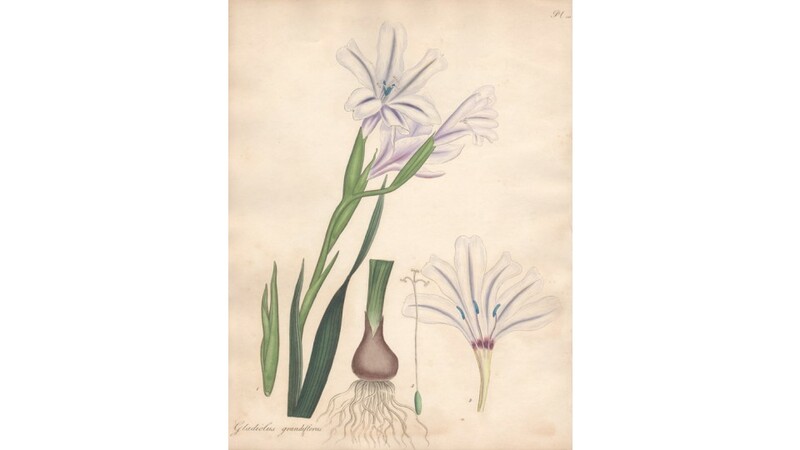 'Gladiolus Grandiflorus - Large-flowered Gladiolus' Engraving from Andrews' 'The Botanist's Repository', 1797-1812. Accompanied by the original descriptive text. Henry Charles Andrews was an English botanist, botanical artist and engraver. He lived in Knightsbridge and was married to the daughter of John Kennedy of Hammersmith, a nurseryman who assisted Andrews in the descriptions of the plants he illustrated. Andrews was not only the artist, but also engraver, colourist, and publisher in an era when most artists were only employed to draw plates. 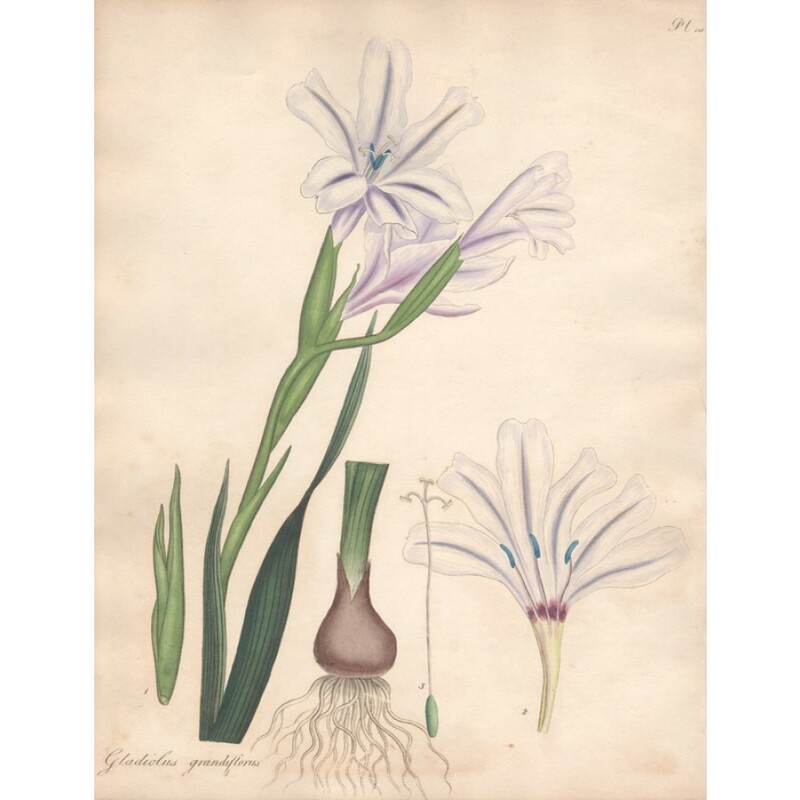 The 'Botanist's Repository' was his first publication, issued serially in London in ten volumes between 1797 and 1812. Creasing along far right edge. A couple of tiny spots.